Alyssa's personal philosophy of healing, wellness and guidance is rooted in blending her intuitive practices with grounded counsel and coaching. She built a foundation of spiritual principles through deep training of yoga and meditation, completing a 200hr Vinyasa Teacher Training, as well as studying the energetic principles of Reiki and Shamanic Healing. Her formal background in business and one on one client focused work grounds sessions with practicality and intention. For those who seek a holistic approach, Alyssa believes that we can make great strides in our growth when we take the spiritual elements into account along with practical, grounded techniques that can assist us in transforming our lives and reaching greater levels of peace and harmony. Her use of the intelligently designed system of Tarot anchors sessions in exploring the human experience, ancient archetypal symbols and allowing a space for therapeutic healing. 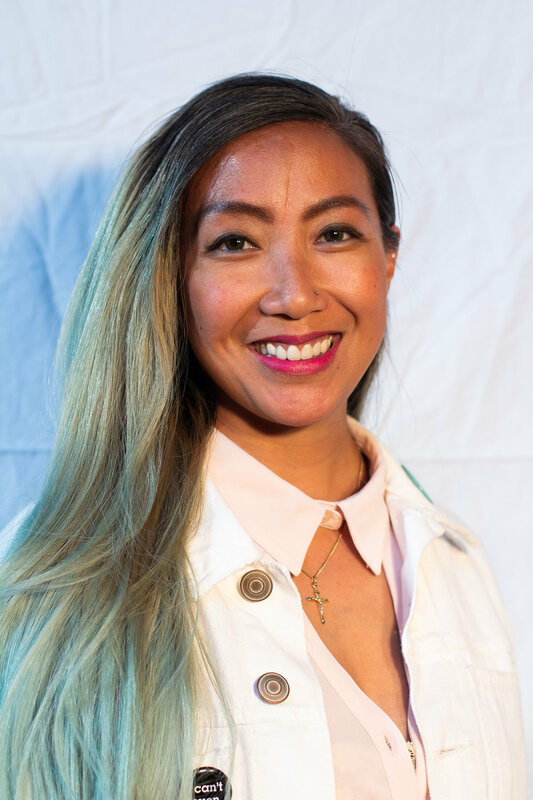 Priscilla is a Reiki practitioner at the San Francisco Reiki Center (SFRC), applying the traditions of Hawayo Takata and the discipline of Usui Shiki Ryoho, the Usui System of Natural Healing. She holds her Reiki Level 1 & 2 certifications at the SFRC and is trained in integrated meditation modalities and Kundalini yoga internationally. Prior to moving to San Francisco in 2016, she was based in London and Europe for 10 years where she worked in the alternative investment sector, as well as for non-profit organizations. Drawing on first-hand experiences in global cities and organizations, she understands the challenges caused by high-stress, fast-paced and travel-intensive working lifestyles and welcomes the opportunity to collaborate with you to create a healthier and happier lifestyle. She speaks English, Spanish, German and Italian. Beacon is an authority on happiness and fulfillment and is the creator of The New Masculinity. As a coach, counsellor, mentor and strategist he delivers life changing transformation to people who want more from their lives. He empowers his clients to discover their authentic selves, increase their fulfillment at work, develop a greater sense of ease in their home life, and create a larger social impact. I specialize in helping people face their finances, especially when that's the last thing they want to do. I bring more than 15 years of coaching and counseling experience to this work. I’m not a financial planner or investment advisor, and what my clients appreciate about that is that I'm super comfortable with all the emotional stuff money can bring up. I also hold people’s hands through looking at the actual numbers and quickly getting to the clarity they crave. Ren offers Body Therapy from a foundation of a lifetime spent engaged in embodied movement. Embodied living is how Ren found solace in hard times and a deeper joy in lighter times. The appreciation of her body’s role as a vehicle and teacher fed her curiosity and led her to study and practice many types of teachings. She offers the fruits of lessons from a B.S. in Biology; a massage therapy education drawn from the Chinese Medicine philosophy; 200 hr training in Kundalini Yoga; certifications in Thai Massage, Upledger craniosacral therapy, and Barnes myofascial release; and a lifetime of athletic training, restorative mobility, intuitive movement, and other yogas. All of which make up her practice of Body Therapy, an integrated modality based in manual, movement and energy therapies used to facilitate sessions that necessarily have to feel like “work”. She listens to each client, and offers a way to a more balanced state of being. She does so with the philosophy that healing is a remembrance that grants us more access to ourselves and our countless potentials. The more access we have to ourselves, the more empowered we are to learn, grow, and enjoy life day by day. I am Thatcher Hayward. My speciality is fostering lasting relief from pain and tension in the human body. In my 10+ years of practice I have developed a system that combines Neuromuscular Therapy, Structural Integration and Somatic Experiencing. Each is powerful therapy on their own and combined they offer a uniquely comprehensive approach to relief from life events that can linger in the body. California Neuromuscular Therapy is the name of my practice which located in San Francisco in Lower Nob Hill. This workshop is for anyone who wants to know what they can do to relieve nagging pain and tension. I’ll be bringing a bunch of the tools and techniques that are super effective and easy to use. This is an experiential workshop! Bring your questions and your tensions and your aches and pains and I will work with you to help find a solution. Umang Life Coaching is focused on helping you develop and strengthen your deep, intuitive, emotional operating system that has been weakened and under-utilized in the world of labels, roles, expectations, and social norms for both genders. Umang’s work guides you to create fulfilling and deeply connected relationships, a life aligned with your values, goals, and a strong mission, to ultimately become leaders, connectors, and innovators in your world. Umang offers 1-on-1 coaching, couple’s guidance, and group coaching, and you can also join his monthly workshops throughout the Bay Area and learn how to Conduct a Fear Inventory or go on a Hero’s Journey. 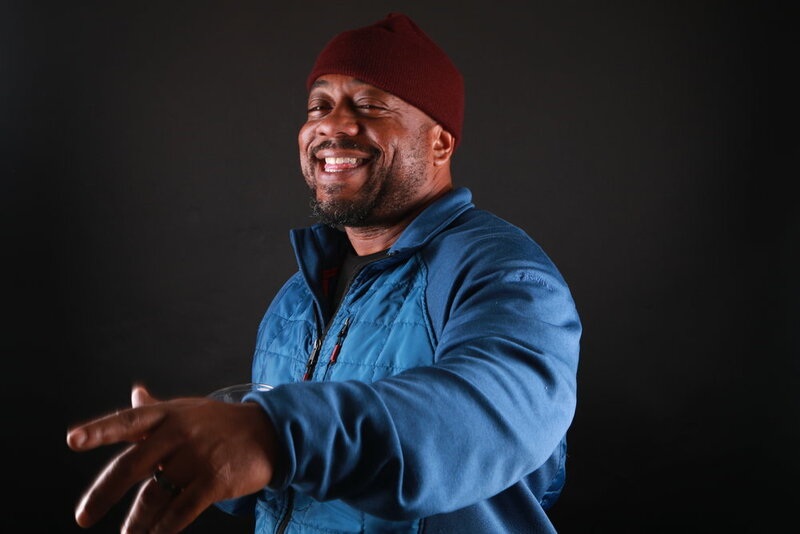 In his ConsciousTouch workshop series, he teaches participants how to create intimacy and heartfelt connection. Meg Maitreya has always had a passion for preparing delicious food, encouraged by the fresh and culturally diverse offerings available in her native city of San Francisco. After years of struggling with body confidence and disordered eating, Meg discovered the ancient wisdom of traditional diets that embraces all food groups, encouraging the proper preparation of them. Her curiosity to discover true nourishment led her to Bauman College, where she graduated in 2019, from the nutrition consulting program. Her time at Bauman reinforced her belief that the missing link in lasting heath is a connection to spirit. To feed her spirit, Meg practices and teaches yoga. Strongly influenced by Judith Hanson Lasater, Meg continues to deepen her understanding of yoga through her ongoing study of philosophy, anatomy and the wide-ranging benefits of relaxation. She graduated with a certificate to teach yoga from the Iyengar Institute of San Francisco in 2015. Meg has a B.A. in English Literature from San Francisco State University. Meg’s wellness philosophy revolves around serving the individual with a combination of food based dietary support and stress reductive practices to encourage a deep connection to self. She understands the multilayered emotions related to diet and prioritizes creating a safe space for clients to explore their individual needs in order to facilitate lasting healing. Meg offers one-on-one counseling, public classes and workshops. Diamond Light School of Massage and Healing Arts, HeartMath Certified Trainer, Certified Access bars Facilitator, Método Integra Facilitator. While practicing massage therapy, I realized that a good therapeutic massage could open the door to a close relationship with ourselves. Holistic massage uses different tools to calm the active mind and transport the body to a state of relaxation. Seeing the transformation produced by holistic massage motivated me to learn and to understand more about how relaxation and quieting the mind can help us to heal ourselves. Through experience, I learned that these types of therapies are effective, but they only work temporarily. If we continue to cut off our natural flow of energy with thoughts and emotions that limit and cause us to repeat behavioral patterns rooted in our unconscious mind. Is important to unblock the access to a this natural flow of energy, this can leads us to an energetic incoherence limiting our lives in different areas and over time manifesting itself physiologically. This natural flow of energy allow the creation of a life full of opportunities and abundance and can be achieved by practicing Heart Coherence techniques. with my experience I can support individuals to clear and release this blockages to better access the inner technology we all have to improve health, productivity and quality of life. I have practiced massage and holistic therapies in San Francisco and the Bay Area for more than 11 years. It pleases me to be able to help my clients, guiding them using different methods to achieve balance of mind, body and soul. Danielle is excited to offer essential oil education and provide a wellness lifestyle consult to identify how you can better support your body with these beautiful gifts of the earth. Naina Mathur Mahajan grew up in India, where Ayurveda was in her heritage and blood. She learned the balancing effects of the doshas from a young age, seeing their benefits firsthand through simple practices adopted and passed on by family, throughout generations, for a healthful life. From DIY kitchen pantry face masks, to golden lattes made with turmeric, coconut oil head massages or to tea with ginger to soothe a tummy ache, these were things she naturally turned to. Although Naina grew up with Ayurveda, it wasn't until years later that she immersed herself into learning the art and science behind it. It was around the time she got involved with her local Buddhist center that her love for mindfulness and stress management began, and OJAS was born. Naina’s goal is now to share her therapeutic knowledge of holistic health care through the lense of her ayurvedic roots and heritage. She uses OJAS as the medium to educate on her proactive approach to preventing disease, and treating health through positive lifestyle adjustments that benefit people long term. The rituals of ayurveda for stress management are easy and seamless in India, passed down through generations, just like your grandma’s cookie recipe. And Naina’s mission is to, through OJAS, bring this ease to you. Ayurveda, as it should be. I hold a master’s degree in Social Work with an emphasis on Mental Health. I’m currently working towards becoming a Licensed Clinical Social Worker (LCSW) with the California Board of Behavioral Sciences. I am also a certified Life Coach who partners with individuals and families on setting realistic and attainable goals that promote individual and family growth. I have 15 years of experience working with adults, youth, and their families with developing coping skills to increase their overall performance in everyday life. All 15-minute Life Coaching sessions at the Holistic Health Saloon will include an introduction to life coaching and ways it can support your further growth. We will also complete a Wheel of Life exercise that raises your personal awareness and allows you to envision a life that is more satisfying and closer to your definition of balance. This exercise will also help clarify priorities for goal-setting for potential Life Coaching sessions with me in the future. Sign up today for a 15-minute session at the Holistic Health Saloon so we can get to know each other and share some positive energy! 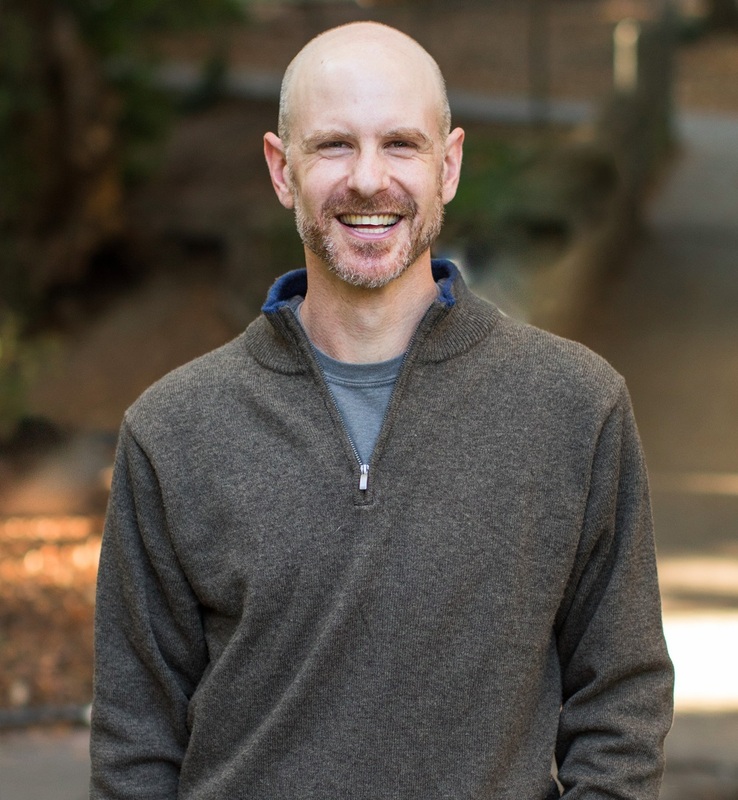 Brian Jansen, BCPP, RPE, RCST, BCMT is the Director of the Polarity Therapy Institute in San Francisco and offers professional trainings in Polarity Therapy. Polarity Therapy is a style of holistic healing and bodywork developed by Dr. Randolph Stone; it is based on both Western / Eastern and ancient / modern influences. In addition to Polarity, Brian practices Biodynamic Craniosacral Therapy and is a Certified Massage Therapist. He has had a healing bodywork practice since 2003. Lindsey’s passion in life to support people to Heal from Within so they can know themselves on the deepest levels. She uses a powerful modality called Depth Hypnosis to guide people back to themselves by healing obstacles that are obscuring them from stepping fully into themselves. Lindsey specializes in healing trauma, anxiety, fear, depression and self-doubt; guides people to know how to deeply nurture and care for themselves as well as connect with and embody their gifts and purpose in life so they can create an abundant and fulfilling life. Lindsey earned a Masters of Public Health in Maternal and Child Health in 2005 and moved back to the Bay Area to work in the field of women's health. While working at the Packard Foundation researching reproductive health programs in the US and around the world, she volunteered as a birth doula and earned her certification in vinyasa yoga. It was when she was pregnant with her first child in 2009 that she found Depth Hypnosis and two years later became a certified Depth Hypnosis Practitioner. For the last 10 years, she has been studying Shamanism, Buddhist Psychology, Transpersonal Psychology, Energy Medicine, Healing Gemstones and Transformational Leadership. My work as a somatic psychotherapist and meditation teacher is both intuitive and grounded in a variety of approaches to holistic healing. I can help you relax into your embodied experience with kindness. My gift is a laser-guided focus to help you find and develop your own gifts and inherent goodness. I specialize in working with highly motivated people who have a strong desire to follow their calling and be of service in this world from a more centered place within themselves. This process can include integrating experiences from early childhood, deep relational patterns, trauma, and various spiritual or non-ordinary states. Fortunately (and counter-intuitively), these symptoms carry the wisdom you need to move forward in life. It's pretty magical. I can also offer you a variety of practices and resources outside of our work to support you on your journey of personal transformation. An herbalist and spiritualist, Aminah is passionate about her own healing and the healing of her family and community through connecting back to the earth. She knows that in order for humanity to save itself we have to start thinking and living in a more sustainable way and reconnecting to the earth to be out healer and to in turn heal the earth. She views healing ourselves with the earth as a radical act of self love and by loving and healing ourselves, we love and heal the earth because we are the earth! She views food, wild plants, herbs and tree resins as our medicine. Nature elements (Trees, sky, sun, dirt, feathers, stones, rocks, branches), & animals are our medicine by being our teachers. Aminah sees that everything within nature is deeply interwoven and connected and spirals and dances together and all feeds and nourishes itself and everything else around it. Humanity has become extremely disconnected from this TRUTH & Aminah has been chosen by the earth and her ancestors to assist in bringing her community back into this knowledge to realign with the sacred spiral that exists within everything within the planet that has the spark of life. Aminah offers herbal remedies for physical and spiritual healing, including things like salves, body butters, tea blends, herbal bath salts, wild harvested smudge bundles, tinctures and other wonderful things made in small batches. 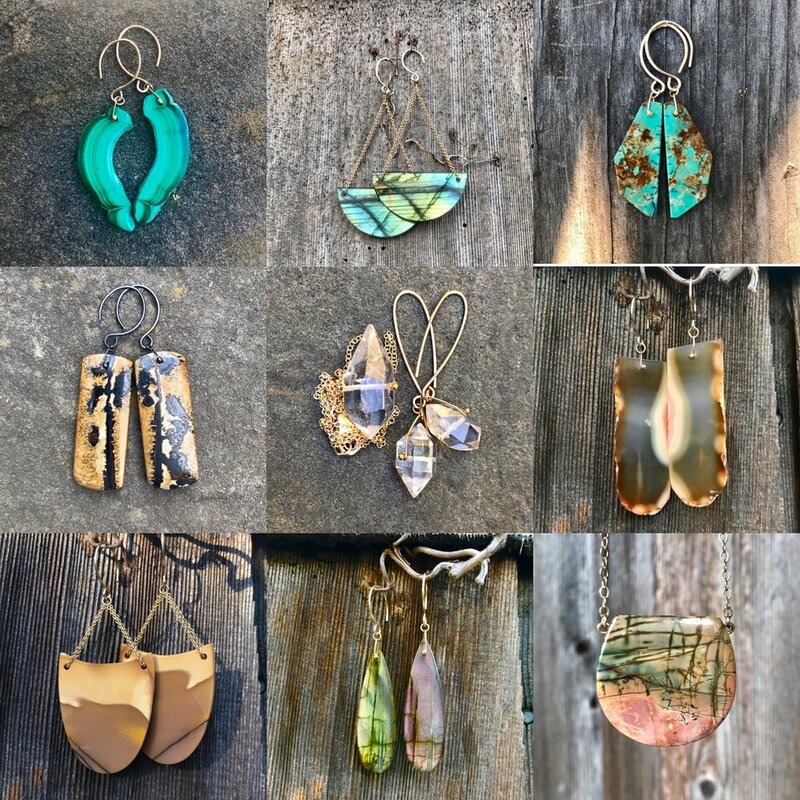 She also creates medicine bags, copper and gemstone healing tools, and offers oracle card readings and combines her ever growing knowledge of herbs with spiritual wisdom. She is happy to be of service in anyway she can to assist humanity in realigning with the earth that sustains and literally gives us life! We are cells within the planet earth and we must respect and love our body if we hope to survive as a race. I am a California licensed massage therapist, with a deep understanding of the human body. I work with all gender identities, ages and abilities. I am deeply passionate about the work I do. I offer a range of massage services such as Esalen Massage, deep tissue massage, prenatal massage, Reiki and Craniosacral therapy. I am focused on creating a safe space for all my clients. When working with me, my goal is to bring my clients to a relaxed state so their bodies can begin their own self-healing on this journey to health and relaxation. Leilani Salcedo has a love for food, dancing, and fashion flair. She has been a visual merchandiser/ fashion stylist for 16 years of her life, then switched gears in the culinary realm. She is now living out her life purpose with her business, Lei Living Aloha, to provide support in health and wellness. Leilani graduated from Bauman College in holistic nutrition and culinary arts as a natural chef and later received her certification as a health coach from Institute of Integrative Nutrition. Leilani spreads aloha in supporting her clients with compassion, an emphasis on bio-individuality that no one diet works for everyone, and every person has unique needs. She focuses on helping each client's issues to cultivate a better lifestyle with health and wellness through food from the S.O.U.L. with Seasonal/Sustainable, Organic, Unrefined/Unprocessed, Local ingredients. Leilani motivates people with healthy food choices to support you in your lifestyle change that you seek. Leilani is an SF native. In her spare time, you can find her taking a dance class, going on a nature hike, making impromptu plans as a globetrotter (41 countries and counting! ), and spending quality time with her friends and family. Julie Ann has shared her loving and grounding presence for years as a Waldorf Kindergarten teacher. She is a certified Reiki practitioner (Reiki 3/Master Attunement) and a lover of the ordinary grace of being. Her work is deeply rooted in the power of self-healing and honoring body as and self as earth. In addition to working with children her adult life has been enriched by her love of gardening, hiking, embodiment work, therapeutic movement, singing and expressive and social dance. She is currently exploring earth honoring and ancestral ceremony in order to serve All of Life in these challenging times. Julie Ann brings her tremendous empathy and profoundness of feeling to assist her clients in getting in touch with their inner depths so that they may reclaim and celebrate their lives. She is a lover of the sun (Sol, in her family Portuguese), and the human soul – which she hopes to touch with her work. Sol Touch is her way of giving to others what has been so nourishing and healing for her. Ben Mastracco’s goal as a Food Coach is to alleviate the stress that surrounds food and nutrition. He focuses on basic health principles, and puts a strong emphasis on helping you directly in your kitchen. Grocery store tours, in-home cooking classes, and loads of personalized recipes are all part of the package, as Ben guides you step by step through the entire process of improving your relationship with food. As an award winning recipe developer and former food scientist, Ben has spent countless hours experimenting in the kitchen, and he pulls from all of these unique experiences to pass those lessons down to his clients. Ben will show you how to make healthy food easy, delicious, and more fun than you ever thought possible! Alahas Ni Mayari, meaning “Mayari’s Jewelry” focuses on accentuating the beauty of brown skin goddesses everywhere. Utilizing stones, wood, crystals and gems from the Philippines and Bay Area, Alahas Ni Mayari takes pride in honoring our Filipino roots and Bay Area identity that nourish us. We reclaim the native Filipino narrative through education and storytelling featuring pre-Spanish colonial native Filipino mythology. Carly’s clients are super smart self employed/entrepreneurs. In partnership, she supports clients in reaching self-defined growth goals that encompass their work and personal lives. After all, everything is connected, right? From a dynamic nationally recognized speaker who was looking to become the best dad he could be, to the powerful executive coach taking the leap to launch her career coaching workshops, to the architect launching her patented software and book, etc. The list goes on. What all of Carly’s clients have in common is their desire is to stop rationalizing and making bargains with themselves and others about why things aren’t working the way they really want and shift to where they are aligned at work and home. A transplant to The Bay Area from New Jersey, Carly graduated from UC Berkeley with a degree in East Asian Studies. After working in Tokyo for 2 ½ years, she returned to Berkeley, got married, and started her insurance practice at age 29 which is still serving clients today. Working in the insurance field for over 20 years, she turned to coaching as a way to expand and blend her personal and professional interest in supporting clients in an impactful way. That decision ended up being one of the best decisions of her life. In addition to being a Certified Life Coach from The Coaches Training Institute, Carly completed CTI’s 10 month experiential Leadership Program and serves as a mentor to participants in both programs. Audrey deChadenedes is a shamanic healer, in private practice since 1999. She offers readings and energy balancing from a nature-based, shamanic perspective. Audrey does not focus on straight prediction, but rather shows you the choices that are being offered to you and the energy around those choices. She provides you with tools you can use to access your own connection with spirit. She will balance and clear your energy and teach you how to take energetic care of yourself, bringing you into alignment and calling your spirit back into your body. "Our lives completely change when we go from being "busy" to being fulfilled. Our greatest wealth is freedom: freedom of time, freedom financially, and freedom to live life on our terms. I am passionate about helping professionals get clear, confident, and skilled, so they can have it all." Much like her clients, you cannot fit Mandy or her background into a box. Mandy is a multi-time entrepreneur turned transformational coach. She helps busy clients with time efficiency, life optimization, energy abundance, emotional awareness, and deep clarity (what she calls personal congruency). She draws upon her tenure working in venture capital and tech, her certifications in coaching and NLP, her energy work Reiki Mastery, and her former life as a junior olympian swimmer. Mandy knows her clients are independent and nuanced beings with real dreams so approaches them with the holistic lens they deserve. Mandy earned her two Bachelor degrees in Psychology and Environmental Studies. Her Psychology research on behavior change has been published in the APA Journal. She is also a contributor to the College textbook “Doing Collaborative Research in Psychology: A Team-Based Guide.” She is a Master Level NLP Practioner, certified by the Association for Integrative Psychology, a member of the International Coach Federation (ICF), and a recognized scholar of Master Coach University. Jessie is an Usui Shiki Ryoho Reiki Master based in San Francisco who specializes in reiki energy healing and instruction as well as spiritual guidance and coaching. She began her journey with energy work as a child and has successively dedicated her life to helping others. 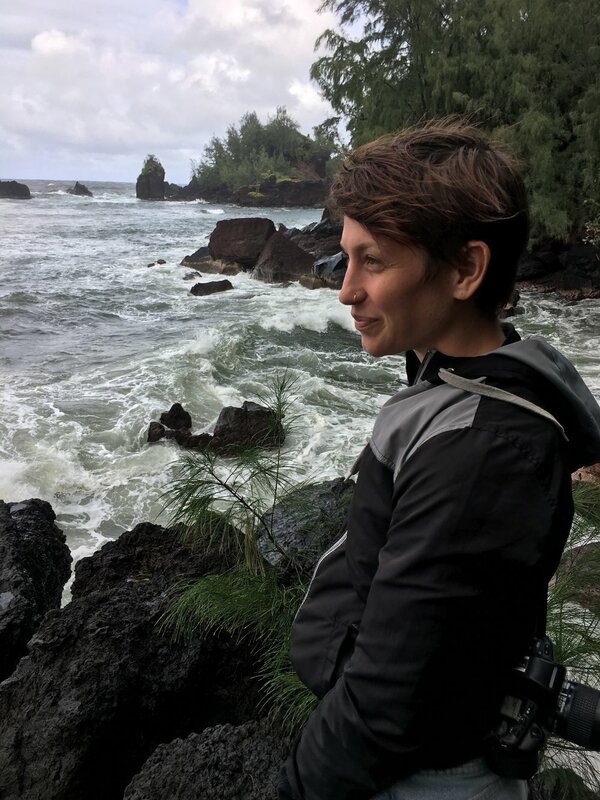 Her passion for understanding the non-physical world has fostered a lifetime of extraordinary, insightful events, and she looks forward to every opportunity to both share and expand upon the knowledge gleaned along the way. One of Jessie's greatest joys in life is introducing individuals to their balanced state and highest self through the infinite, loving power of reiki. Arlie has been a Breema Practitioner and Instructor for over 21 years. It is the foundation for all the healing arts in her life, (Including other forms of bodywork, massage, energy work and dance) and the practice that gives meaning and purpose to her life. She has taught Breema at the Esalen Institute, Omega Institute of Holistic Studies, the California Institute of Integral Studies, and at numerous private centers and institutions in the US, Canada, Mexico and Europe. 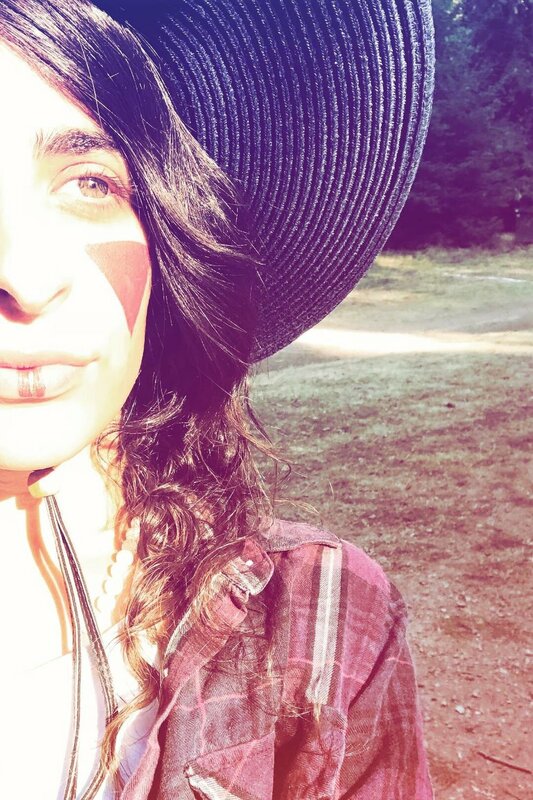 She gives private Breema sessions at the Breema Clinic, Instructs regularly at the Breema Center and maintains her private healing arts practice in Oakland. Experience profound relaxation from the harmonizing, grounding and revitalizing eﬀect of Breema bodywork. Breema creates openness and receptivity in mind, body, and feelings for a new level of health and well-being. A clear, calm mind, ﬂexible, relaxed body, and balanced emotions are a gateway to experience yourself in the present moment, in harmony with all that exists. Breema recognizes what is vital and whole within you and seeks to increase that! 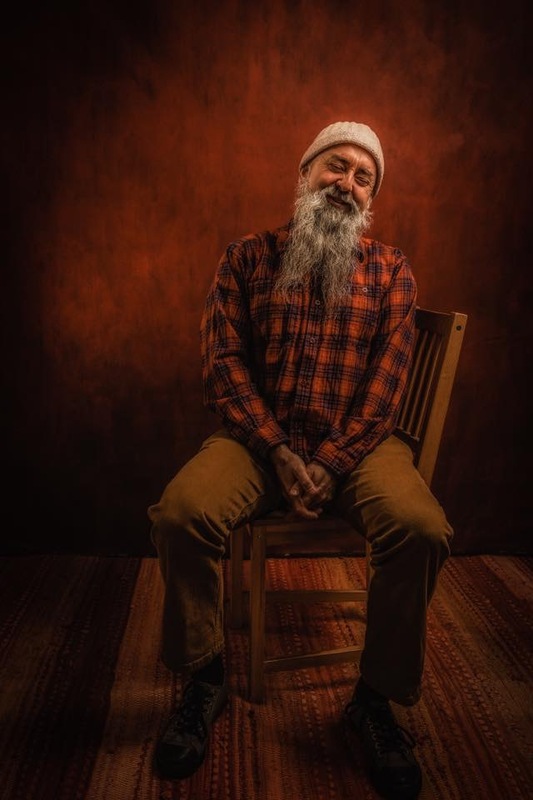 Through the unique Breema atmosphere of presence, acceptance, and connection, we use nurturing non-judgmental touch, rhythmic movements and energizing stretches to release deeply held tension and stress. From there, the instinctive wisdom of the body to heal and the activation of one’s own self-healing process simply takes place, moment after moment. Whether it’s relief from migraines or digestive disorders, reduction of anxiety or career stagnation, you will finally release old patterns and pains. Alternative Health Leader and Intuitive Healer Jordana identifies your innermost blocks causing your deepest pains and provides a deep authentic healing like you’ve never experienced before. Jordana uses her background as a corporate executive to influence her dynamic approach of blending powerful ancient practices to the contemporary. This makes her sessions approachable and understandable for ANYONE at any level looking to release, heal, expand, grow and glow. You canfollow her powerful high-vibe law of attraction how to’s on YouTube and Instagram @GlowForthReiki_SF. Heal Your Relationship Patterns: An Interactive Deep Clearing Experience. This powerful experiential workshop is a new dimension to the speaking only breakouts as it takes you through a powerful awareness injection and healing process around your conscious and subconscious relationship blocks that no longer serve. Your deepest, hard-wired hidden and haunting beliefs will be identified and removed from the root out, and then energetically healed and replaced so you can more easily bring in authentic experiences in romance, partnership, friendship and self-love in 2019. Michelle is the founder and principal coach at GreenLight, a coaching company focused on helping women birth career purpose. She is a certified professional co-active coach (CPCC) and has a Master's degree in Organizational Psychology. Michelle helps busy women find clarity and purpose and assists in taking action during career transitions. She is a fierce advocate for more purpose driven work in this world. Michelle had a 12-year corporate career in sales before making her own soul satisfying career change 12 years ago. You can often find Michelle reading books on motivation, habit, purpose, psychology, spirituality, and leadership. She is also the proud mom of two young children. Dalina In and Elaine Guillon are the founders and practitioners of Eternal-Therapy. A place for alternative therapy and spiritual development. E-T is a place where people can expand their minds and make the connection between mind-body-spirit using Reiki, hypnotherapy and sound healing. We now also offer hand crafted oils, Reiki infused and with Hemp derived CBD & non CBD. Every element in each bottle has been carefully thought out with love & intention in hopes that people can return to creating a strong spiritual foundation, which leads to a more positive & abundant Life. The aim of Breema is to bring us to a tangible experience of presence that becomes our foundation for a new dimension of health, consciousness, and self-understanding. Denise Berezonsky offers Breema sessions, which include bodywork and Self-Breema movement to support being present in the moment. Seeing the transformative effect of Breema’s Nine Principles of Harmony on her own life, she wants to help as many people as she can discover Breema, so they can increase their vitality, well-being, and receive support for their relationship to themselves and to others. She has maintained an active national and international teaching schedule since 1994 and is co-author of Self-Breema: Exercises for Harmonious Life, Associate Director of the Breema Clinic and a Senior Staff Instructor at the Breema Center in Oakland. Experience the nurturing, balancing touch of Breema bodywork, and discover how the Nine Principles of Harmony can support your life. Receiving Breema helps the body let go of unnecessary tension, invites the mind to become quiet and receptive, and supports the feelings to come into harmony. Breema emphasizes mutual support, so both giver and receiver benefit. Ankke Orryn is a holistic health therapist, medical intuitive, spiritual medium/channel, and empathic energy healer and counselor; a natural health advocate based in whole foods nutrition and nourishment psychology, a family/systemic constellations facilitator, and a teacher of embodied contemplative movement practices, meditation, and yoga. She also performs as a dancer and actor from time to time. Ankke holds a BA in Dance and Movement Studies from Naropa University and a certificate in Integrative Clinical Nutrition Therapy from Seven Bowls School of Nutrition, Nourishment, and Healing where she studied western, eastern, functional, and plant medicine rooted in the psychology of nourishment, as well as herbalism, energy healing, and shamanic practices. Since then, she has been diligently studying and developing her innate abilities as a psychic, medium, channel, and medical intuitive. After many years of practice, she completed a 200 hour yoga teacher training last May. In her search to find the most helpful therapies for her clients, Ankke has explored and integrated many modalities of mind, body and spirit into a truly holistic way of addressing the challenges of those she works with. She is a unique holistic health professional who uses an alchemy of the aforementioned skills and tools, as well as others, in order to help her clients heal, transform, and grow into their potential. She is practical and science-based as well as intuitive, and all her work is tailored to meet the unique needs of each individual she works with. Ankke's explorations of holistic health and wellness have penetrated many levels of mind/body/spirit/soul connection, opening her to the realization that we have to bring all of ourselves to the table in order to truly heal and grow. She gently and compassionately encourages her clients to love themselves, to get real with themselves, and to be curious about their own experience of the human condition. In this way, Ankke hopes to help others heal and realize their true potential via the understanding that we've chosen to be here in these human bodies in order to experience Life fully through the vessel of our embodiment. It is her endeavor to encourage, guide, and support her clients in living a vibrant, healthy, grateful lifestyle full of Love and appreciation. Her deepest desire is to help people let go of what is keeping them stuck and in pain, and to support them in realizing their happiest, healthiest, most free and radiant selves! 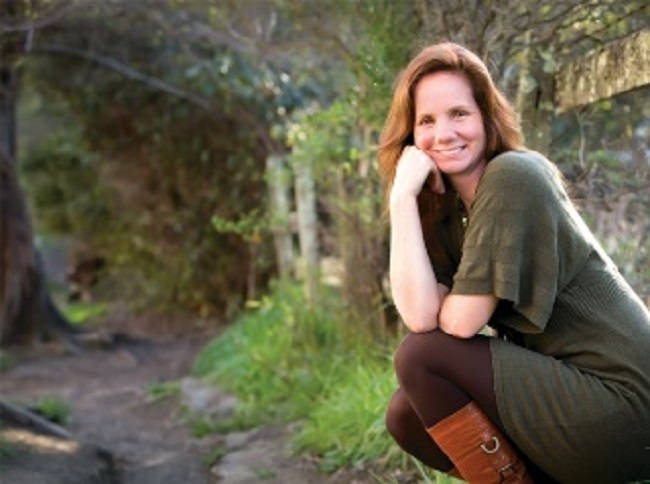 Kim is a Reiki Master and Intuitive Counselor in San Francisco. She has been immersed in the world of healing for over 25 years. Working with both humans and animals, she supports others to have a more peaceful, joyful, and balanced life with less emotional and physical pain. Kim received her first and second Reiki certifications in 2012 and became a Reiki Master in 2017. She works with clients in person at her home office in the Inner Richmond as well as through distance Reiki, a powerful method performed energetically on clients from any distance. She is passionate about sharing Reiki’s miraculous effects. Drawing from her extensive healing background, intuition, and heart centered awareness, Kim loves helping others understand, break through, and heal from whatever is holding them back from ultimate happiness, love, and fulfillment. 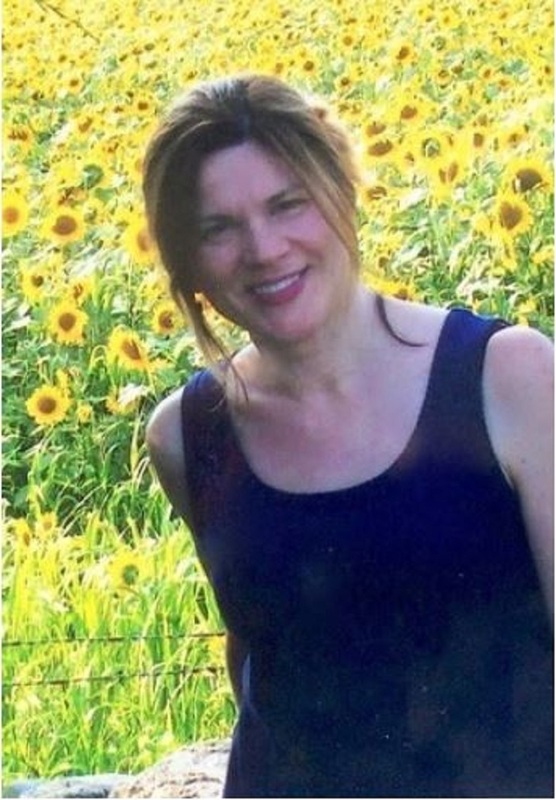 Sandra Kathleen is a jewelry designer, psychotherapist and sound healer from Berkeley CA. She will be joining as a vendor and offering unique gemstone jewelry designed to empower your divine embodiment. I am Megan Bovis and a practitioner of Biofield Tuning, ThetaHealing® and flower essences. I was first drawn to healing work in 2001 through experiencing the deep nurturing power of Reiki. That same year, I had a profound and sudden shift that propelled me on a journey that continues today. Through these modalities, we reveal and transform deeply held patterns and beliefs that create disharmony in body, soul and relations with others. By working together we access and enhance your ability to be healthy, truly love your self and others too. Sessions are held both in-person in San Francisco and at a distance. 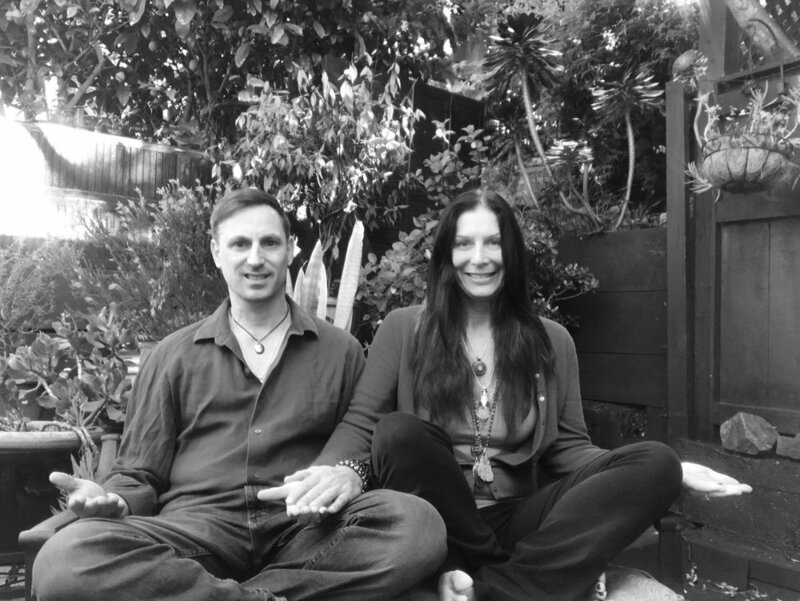 Carol Whitney is a master practitioner and teacher of Pranashakthi Mahavidya, an ancient energetic modality from India which utilizes infinite dimensions and connection to cosmic consciousness/source energy to remove suffering in all its forms. This type of healing rapidly changes physical and mental imbalances. Carol is highly claire-sentient, has knowing, and can intuitively sense how to specifically help a person or animal, based on the Divine guidance she receives. She has the ability to hold space at a deep level for peace, unconditional love and transformation. Devotion, trust, surrender, faith, and understanding are all elements that work to create the vibrational environment for a person to shift to wellness or to just feel lighter. The energies are that of unconditional love of the Divine Mother. She works with crystals, can call in dolphin energies via animal communication, uses sacred geometry, her voice, as well as many other techniques. Returning home fresh from a three month sadhana based Yatra in India her energies are rooted within, and her sensing is lighter and finer. She now also offers AuraSoma color light therapy.